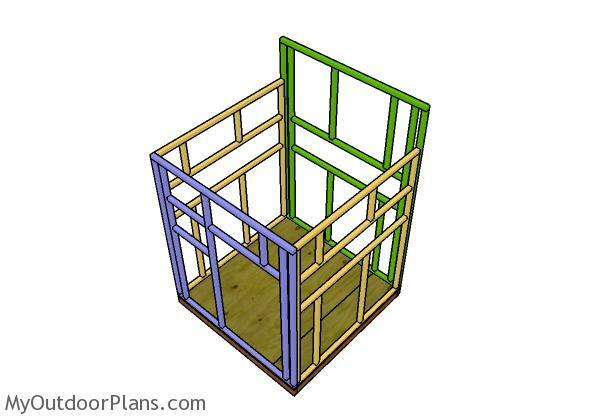 This step by step diy project is about 5×5 shooting house plans. I have designed this deer stand as an alternative to my already 4×4 box project I had on the site. 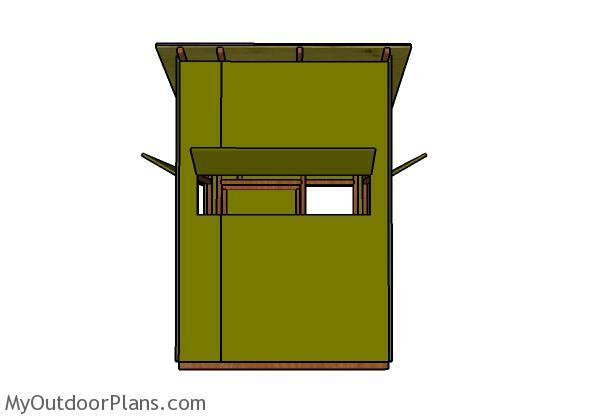 This deer shooting house is very sturdy and it features blinds on all sides and a door. 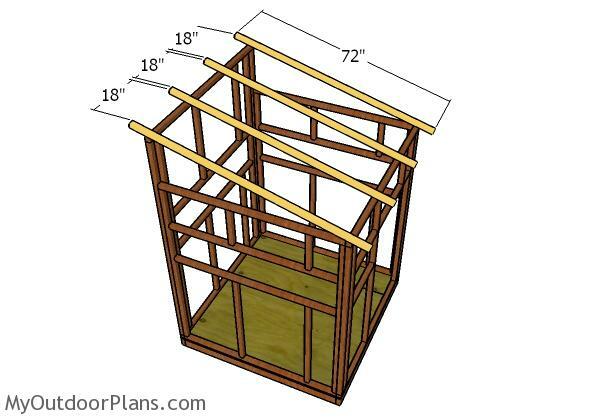 The roof has a lean to shape, so it is super easy to build. You can even get the job done with hand tools! Take a look over the rest of my woodworking plans, if you want to get more building inspiration. The first step of the the 5×5 shooting house is to build the floor frame. Cut the joists at the right dimensions and then lay them on a level surface. Drill pilot holes through the rim joists and insert 3 1/2″ screws into the perpendicular components. Align the edges flush and make sure the corners are square. Next, you have to attach the 3/4″ plywood floor to the frame. Cut the sheets at the right dimensions and then fit the to the frame, making sure you align the edges flush. Drill pilot holes and insert 1 5/8″ screws, every 8″ along the framing. Continue the project by assembling the frames for the side walls. 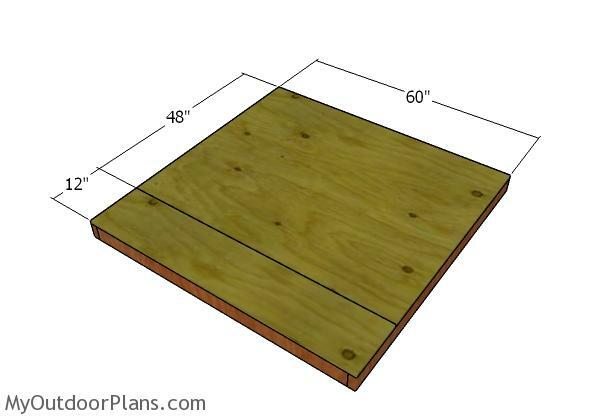 Cut the components from 2×2 lumber at the right dimensions. Drill pilot holes through the plates and insert 2 1/2″ screws into the studs. Drill pilot holes through the end studs and insert 2 1/2″ screws into the horizontal supports. 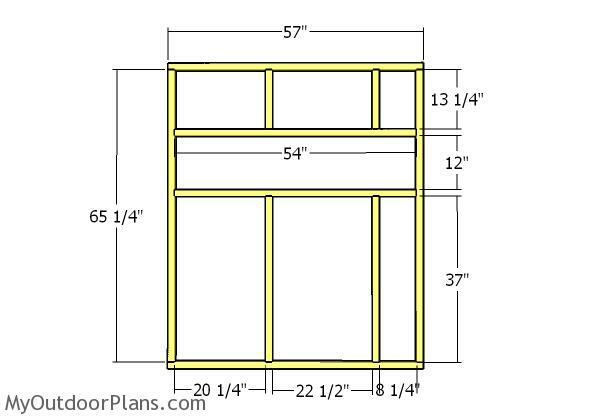 Build the back wall frame for the shooting house from 2×2 lumber, as well. Drill the pilot holes and insert 2 1/2″ screws into lock the components together tightly. Make sure the corners are square and align the edges flush. 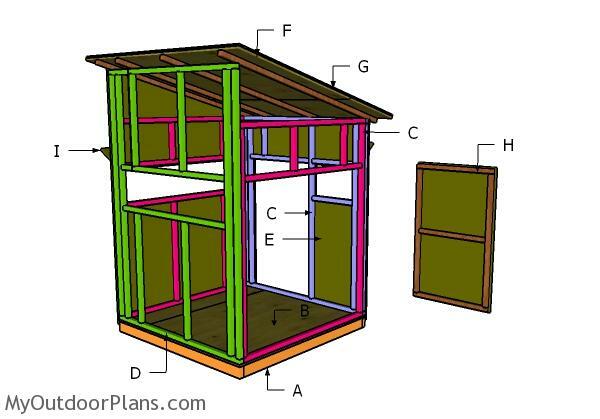 Build the front wall for the shed from 2×2 lumber, using the same techniques described above. Fit the wall frames to the floor of the deer house. Align the edges flush and plumb the with a spirit level. Drill pilot holes through the bottom plates and insert 3 1/2″ screws into the floor. Moreover, you need to lock the adjacent walls together tightly, by drilling holes and inserting 2 1/2″ screws. 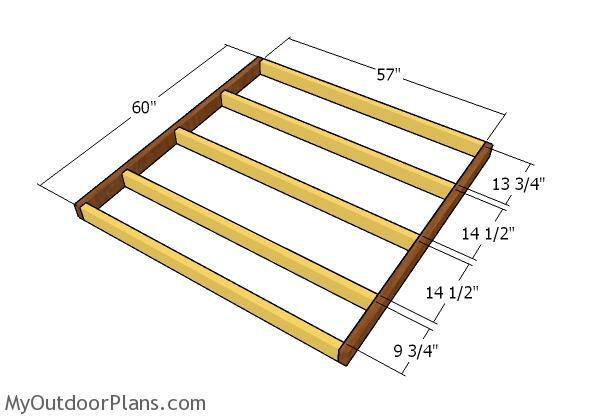 Fit the 2×2 rafters to the top of the deer blind. Place the rafters equally spaced and then drill pilot holes. Insert 2 1/2″ screws so you lock the rafters into place tightly. 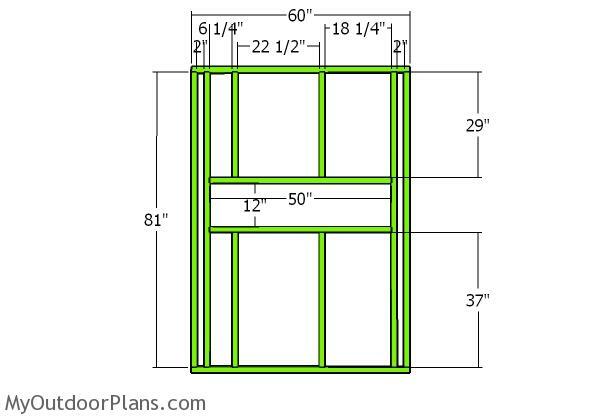 You really need to take a look over PART 2 of the 5×5 deer box plans, so you learn how to attach the exterior wall, the roofing sheets and the door. This 5×5 deer stand has a sturdy structure, but lightweight and cheap enough so anyone can get the job done in a weekend. This deer stand provides enough space so you can shoot in comfort. This woodworking project was about 5×5 deer blind plans. If you want to see more outdoor plans, check out the rest of our step by step projects and follow the instructions to obtain a professional result. Why is the 5×5 built with 2×2’s instead of 2×4’s? I’ve experimented to keep the structure light. My other deer stands are built from 2x4s. Thanks for the great plans! Is the materials list correct? It says to purchase 32 2x4s. 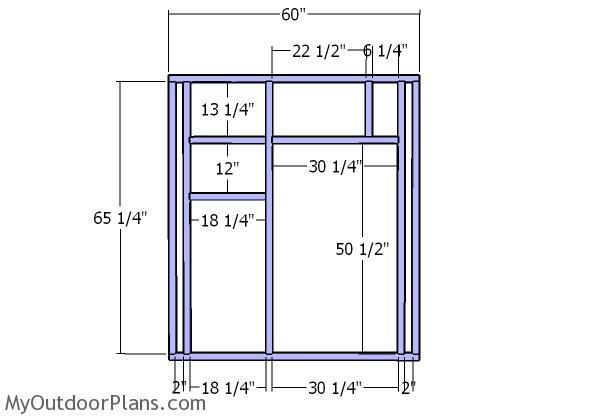 The instructions suggest the framing is with 2x2s. Also, is the ‘cut’ list (for lack of a better name) correct? The cut list says the side walls are made with 2x4s but the instructions state 2x2s. Thanks again. I’ve updated the list. Thank you.